For the big event, nothing makes a stronger impact than a combination of brass and organ. 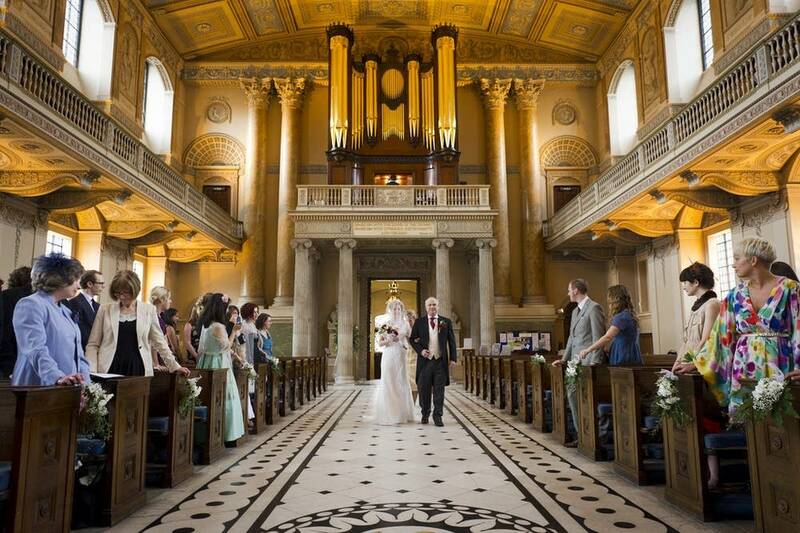 While the organ can create a great effect all on its own, adding one or more brass instruments can easily take it to the next level and make the music at your wedding (impressive) memorable. Whether your budget allows for a solo trumpeter or a brass quintet, these seven picks will enhance your walk to and from the altar, while simultaneously drawing the attention of your friends and family away from the bridesmaids' dresses. David Johnson: Trumpet tune. Simple but exuberant, this underutilized gem is an updated version from the centuries-old trumpet tunes of Henry Purcell and Jeremiah Clark (see below). Because it's not as well known as others, it can help create a unique experience that doesn't replicate the music from your sister's wedding. Marc-Antoine Charpentier: Prelude on the Te Deum. Truth be told, this great piece has more than a couple of things going for it, not the least of which is getting to say the guy's name [shar-PAHN-tee-ay]. This Prelude is the essence of lilting happiness  très French  and will have everyone tapping their toes or air-conducting in their laps. Eugene Gigout: Grand Choeur Dialogue. No two ways about it, this is a show-stopper. More of a walking-out than a walking-in piece, it's big and grand  very shock and awe. There is an organ solo version of this number, but bringing in the full brass quintet is worth every penny. Not recommended for small churches. George Frederick Handel: Overture & The Rejoicing from Music for the Royal Fireworks. Tried and true, this solemn overture is followed by a bubbly masterpiece that's regal and will make everyone feel good. J.S. Bach: Jesu, Joy of Mans Desiring. Typically done as a processional, this warhorse is easily adapted to multiple combinations of brass players. Be warned  this is the piece that was played at your sister's wedding, her best friend's wedding, your aunt's wedding and most likely your mother's wedding. That said, you can totally treat it like comfort food, and binge on it. Change up the instrumentalists and suddenly you have your favorite chocolate pudding with whipped cream and sprinkles. Henry Purcell: Trumpet Tune. Another one from the U.K., this voluntary is frequently paired like a bookend with the Clark (q.v.) as either the processional or recessional. For being not the same piece of music, they're remarkably similar. Like the Clark, it's stately and easily adaptable to one or more brass players.